2380 E 54th St, Indianapolis, IN 46220 Marco's Restaurant and Lounge offers American Italian cuisine with top menu items that include New York Strip Steak, Parmesan Crusted Pork Medallions, and Beer Battered Shrimp. Order online with fast delivery to your door! Add a salad or cup of soup to make it a meal. Crispy wings tossed in house buffalo sauce. Served with Blue cheese dressing. Ranch, French, Honey Mustard, Bleu Cheese, Italian, 1000 Island, Raspberry Vinaigrette. 3 sliders per order. Choice of one side item. 3 per order. Our homemade meatballs topped with marinara and melted mozzarella. Seasoned fried shrimp, lettuce, tomato, and remoulade. Served with a tossed salad. Add a cup of soup. Golden breaded chicken topped with marinara and melted mozzarella. Served in a bed of pasta! Served with warm breadsticks and tossed salad . Add Meatballs for extra! Served with tossed salad with your choice of salad dressing. All selections are served with French Fries, chips, potato salad or cottage cheese. Add a cup of soup or side salad. 8oz Fresh Ground Sirloin Grilled to your liking served on a toasted bun. 8oz Fresh Ground Sirloin patty, Swiss, and grilled onion sandwiched between grilled rye. Center cut pork tenderloin grilled or fried, on a toasted bun with lettuce, tomato, onion, and pickle. 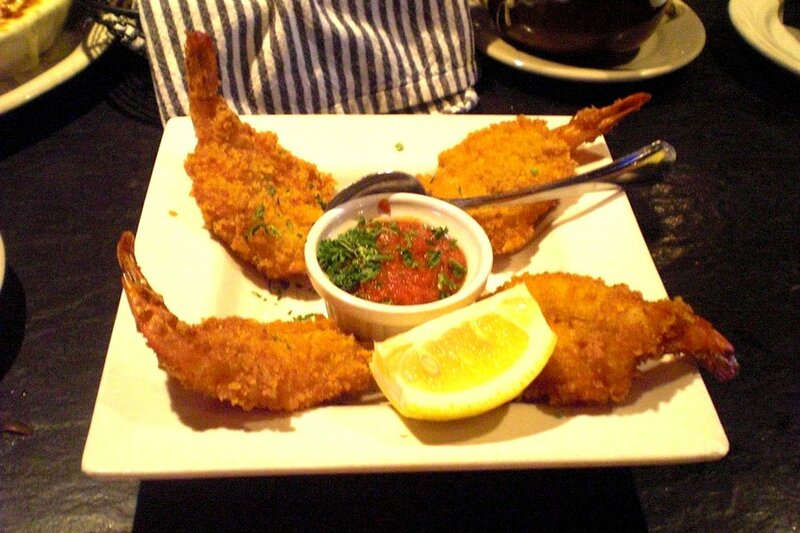 Prepared grilled or breaded or deep fried. Served on a toasted bun with lettuce, tomato, and onion. Try it Cajun Style - Grilled with blackening spices and served with Cajun Mayo. Tender sliced roast beef piled high on a toasted French roll. Served with a cup of au jus. Corned beef piled high, topped with sauerkraut, swills and 1000 Island on grilled rye. Triple decker piled high on toast with smoked turkey and ham, bacon, cheese, lettuce, tomato, and mayo. Served with a Cup of Minestrone, or Soup of the Day. Served with a choice of side item. With fresh mozzarella, avocado, tomato, on grilled sourdough. Served with choice of side item. Cheddar, Swiss, and Mozzarella on grilled sourdough. Served with a choice of side item. Bacon, lettuce, tomato, fresh Mozzarella, and avocado with Dijonnaise. Served with a choice of side item. Thin crust pizza, served as an appetizer or an entree. Kalamata olives, feta cheese, fresh spinach and red onion. Thin crust pizza, served as an appetizer or an entree. Grilled chicken, chipotle barbecue sauce, bleu cheese and red onion. Thin crust pizza, served as an appetizer or an entree. Fresh mozzarella,fresh tomato slices and fresh basil. Dinners served with soup, salad, bread and choice of baked potato, steak fries, pasta, rice or vegetable. Substitute Greek or Caesar salad or Wedge for an upcharge. Sauteed Chicken Breast strips with spinach, asparagus, fresh mozzarella, grape tomatoes,and fresh basil in a lemon garlic butter sauce. Served over rice in lemon herb butter. Grilled rack of lamb with mashed potatoes and green beans. Served over rice in lemon herb butter sauce. Served over linguine with capers and cream lemon garlic sauce. Slow Roasted Pork Osso Bucco with chipotle peach glaze, served with a side of mashed potatoes and brussel sprouts. Feta cheese, kalamata olives, pepperoncini, onions, peppers, tomatoes and cucumbers. Add grilled chicken for extra. Pasta entrees are served with salad and bread. Delicious pork medallions, lightly crusted and served over fettuccine with roasted red pepper sauce.